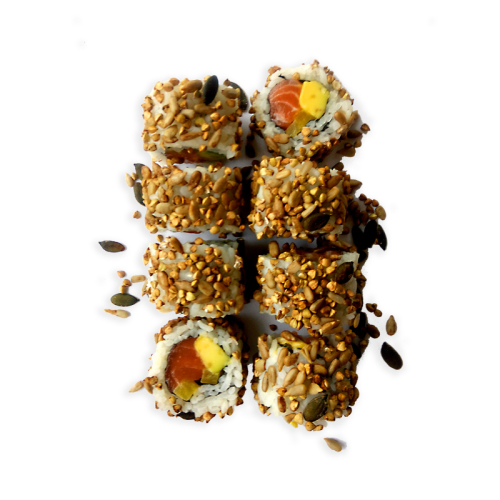 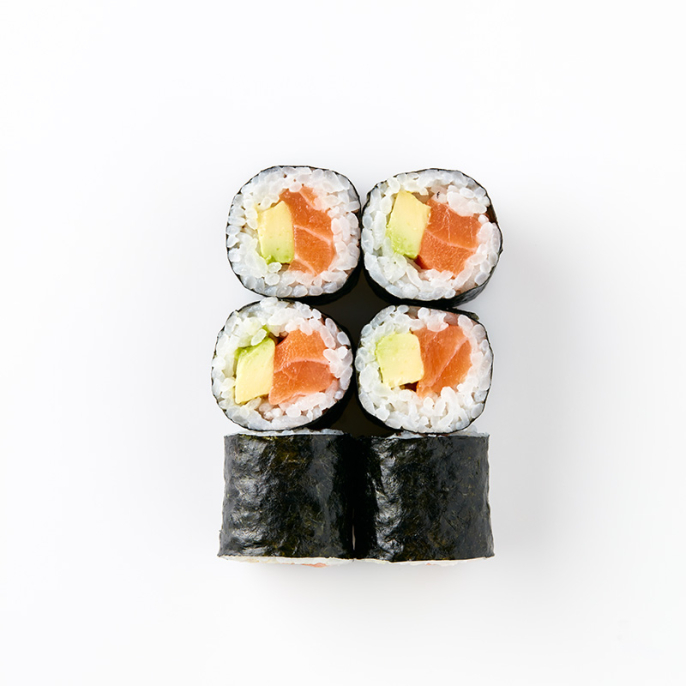 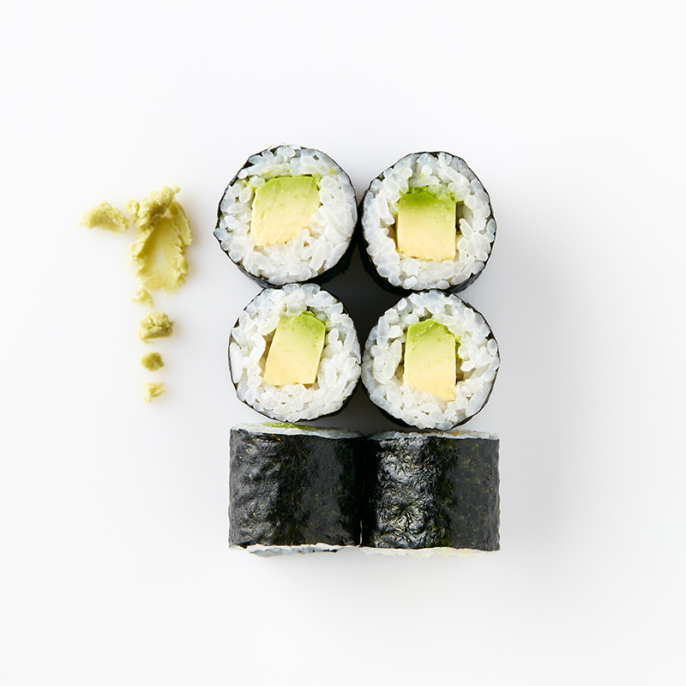 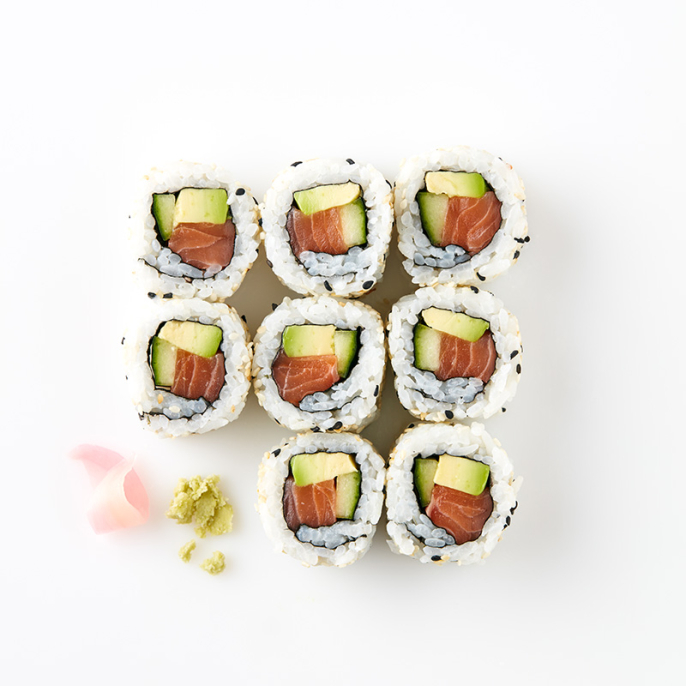 Salmon, Avocado, Daikon and all covered with Super Seeds. 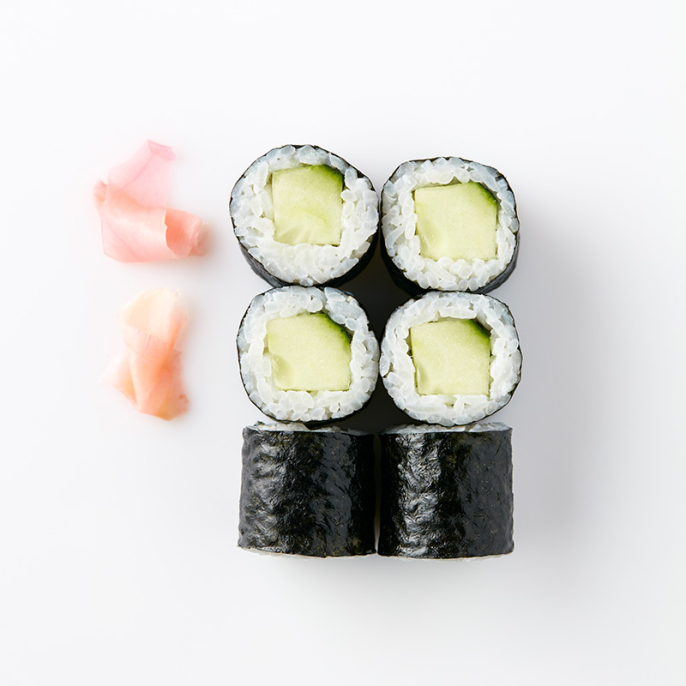 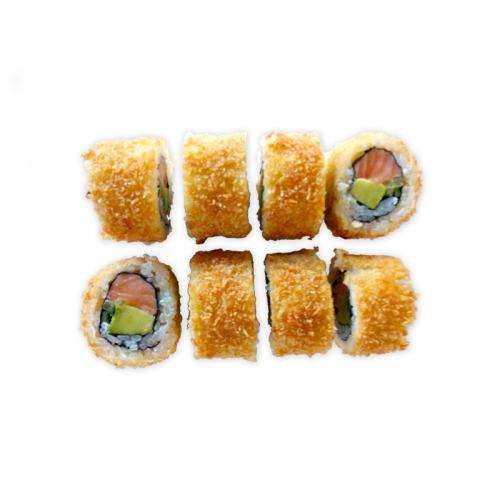 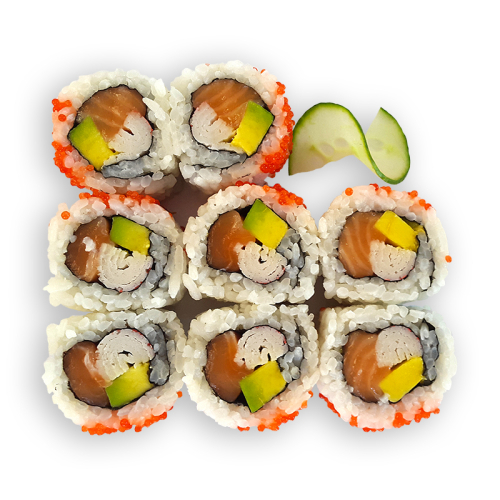 Salmon, Avocado and Cucumber Uramaki coated with Tempura and Japanese Panko breadcrumbs. 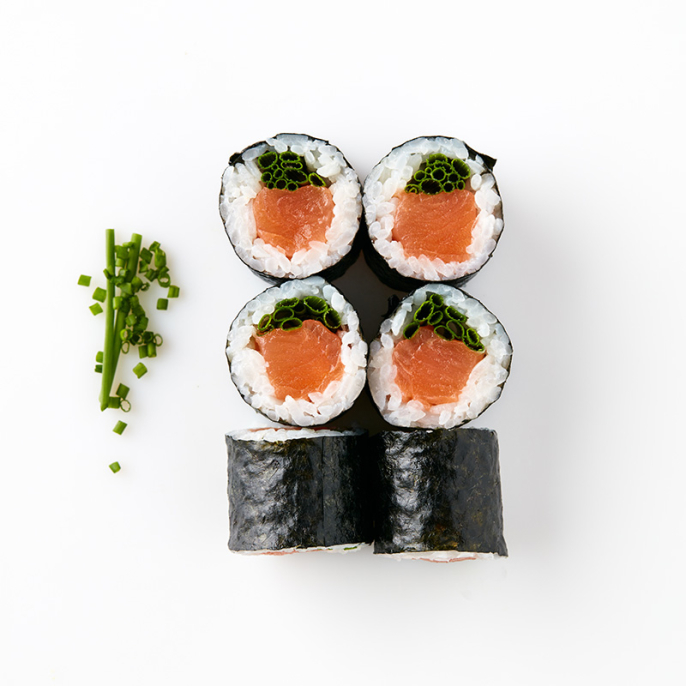 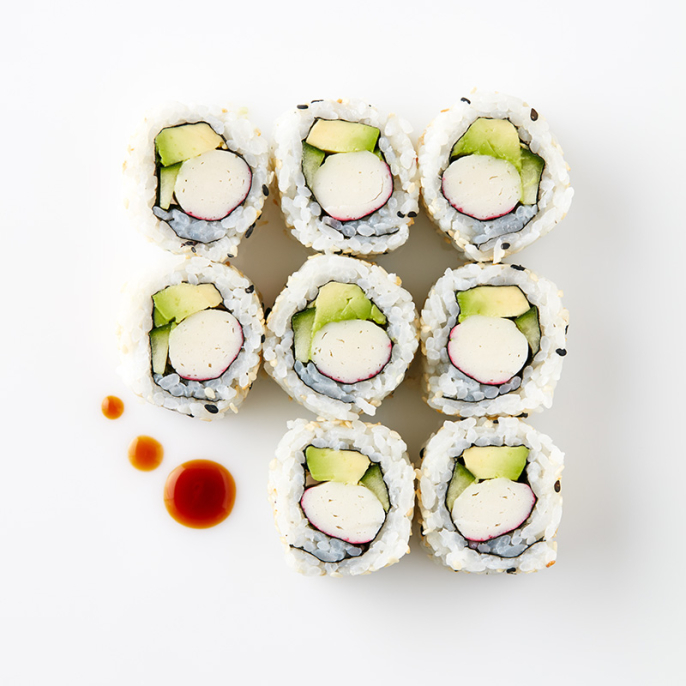 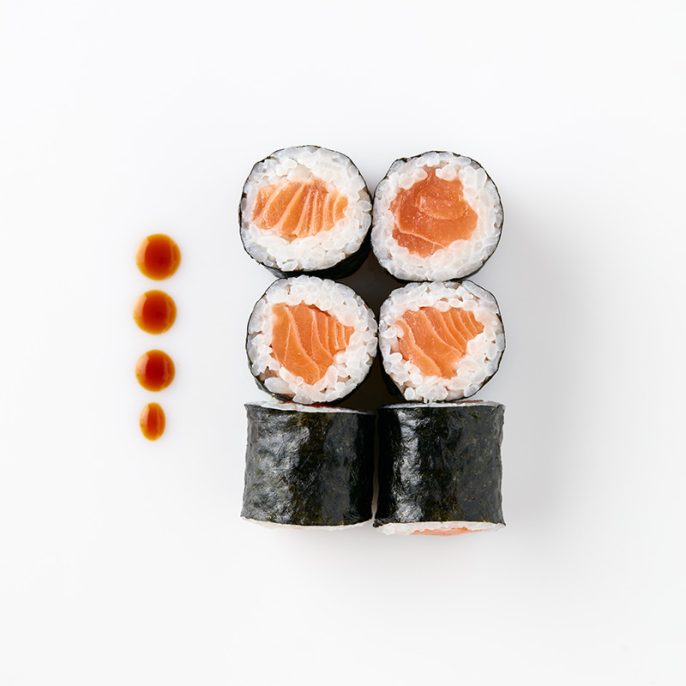 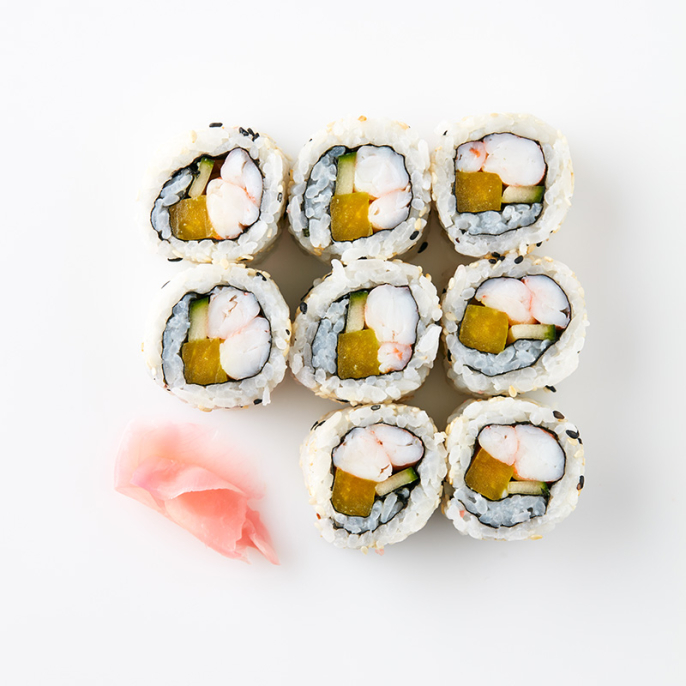 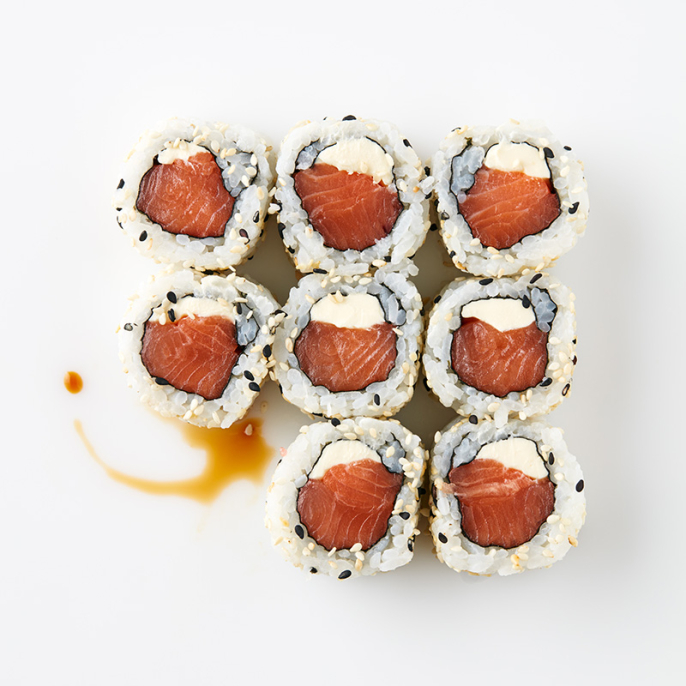 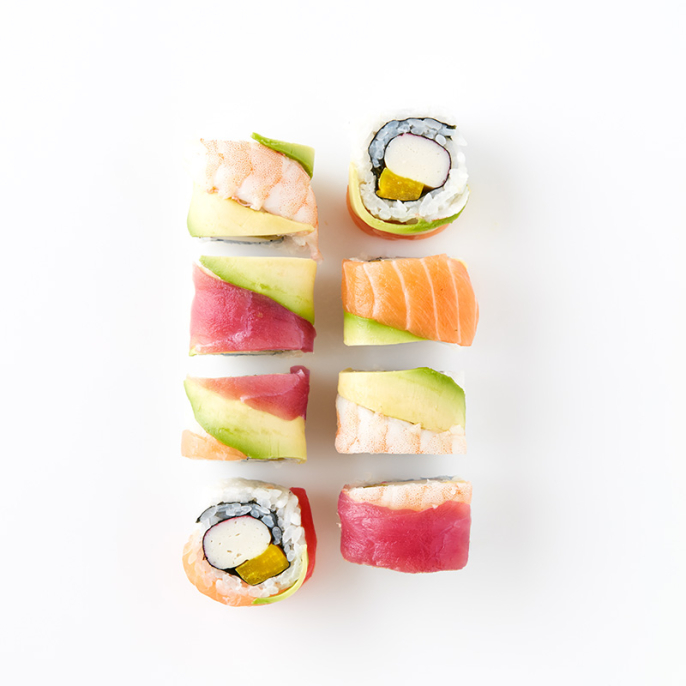 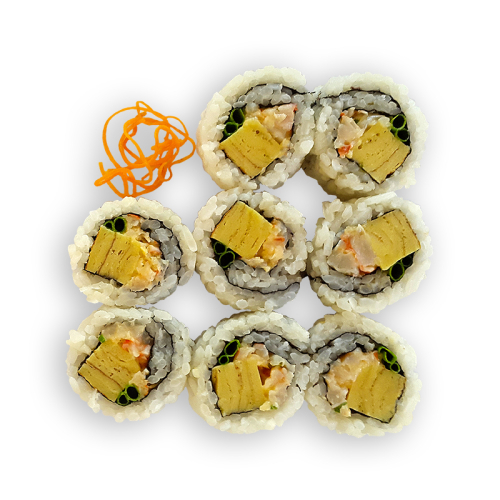 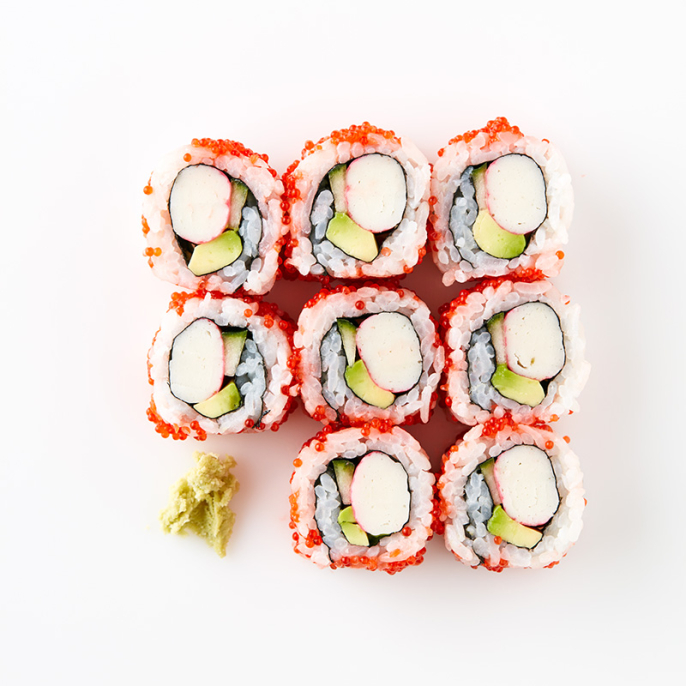 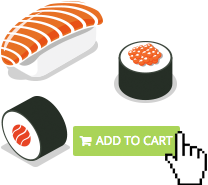 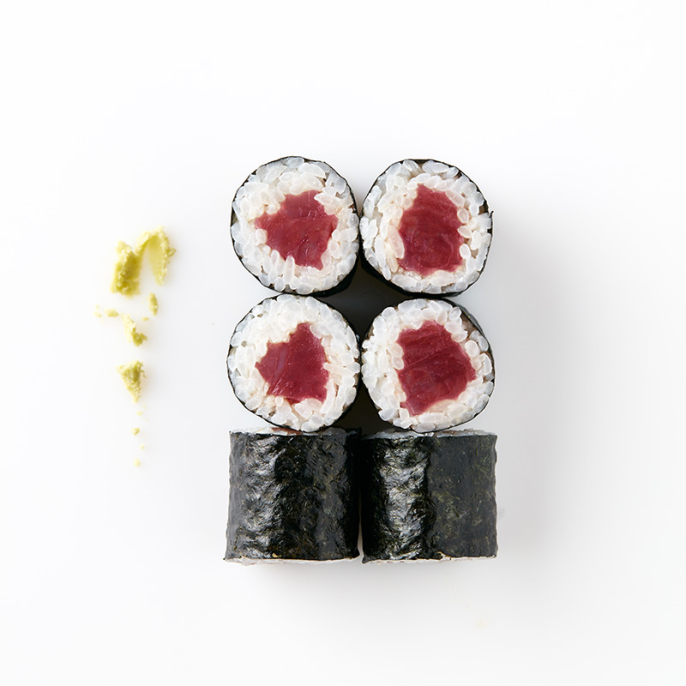 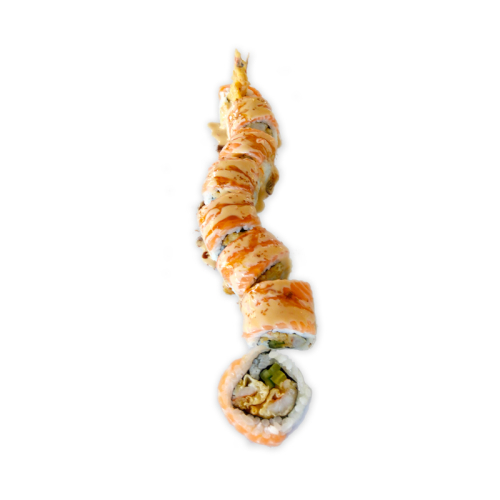 Tempura Prawn Uramaki coated with Salmon and topped with our special sauce.